Join us at the home of our president for our spring gathering to benefit restoration activities at the mill, “An Apple Afternoon”. Enjoy homebrewed cider, homemade refreshments, talks on the art of cider making, recently-acquired historic artifacts and artwork, and a raffle. 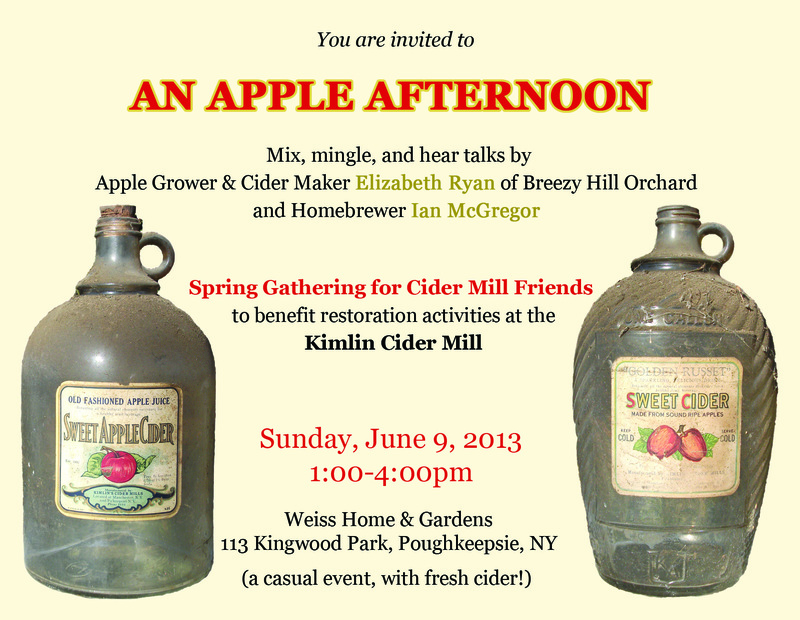 Talks by apple grower and cider making Elizabeth Ryan of Breezy Hill Orchard, and homebrewer Ian McGregor. $25/per person (tax deductible). RSVP required. This entry was posted in Events and tagged Events on May 15, 2013 by cidermillfriends.